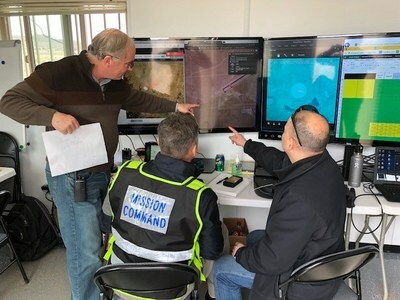 The Nevada Institute for Autonomous Systems (NIAS) and its NASA Unmanned Traffic Management (UTM) partners flew multiple unmanned aerial systems over a week-long testing period at the Nevada UAS Test Site at the Reno-Stead Airport. This third phase of NASA’s UAS testing (TCL 3) again focused on airspace management technologies that will enable the safe integration of UAS into the national airspace. 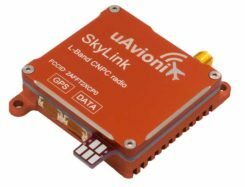 NASA provided a Flight Information Management System (FIMS) research platform that will serve as a future prototype system for the U.S. Federal Aviation Administration (FAA) to use to coordinate with unmanned service suppliers operating throughout the nation. Research areas of emphasis during the testing included UAS ground-control interfacing to locally manage operations, communication, navigation, surveillance, human factors, data exchange, network solutions and beyond-visual-line-of-sight (BVLOS) architecture. On media day, a team from the Reno Fire Department simulated an incident with a victim experiencing severe blood loss and who needed an immediate transfusion. A multi-rotor UAS from Drone America was equipped with a container that held an actual packet of blood to be transported via drone in Nevada. The partners not only demonstrated drone flight capability, but also tested UAS traffic mapping and sensor and radar technology, all of which were connected through a NASA UAS Service Supplier (USS) network to NASA Ames. 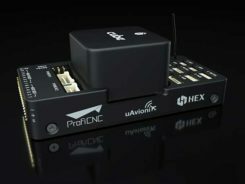 NASA’s near-term goal is the development and demonstration of a possible future UTM system that could safely enable low-altitude airspace and UAS operations. Working alongside many committed government, industry and academic partners, NASA is leading the research, development and testing that is taking place in a series of activities called “Technology Capability Levels (TCL)”, each increasing in complexity. UTM TCL3, just completed, leveraged TCL2 results and focused on testing technologies that maintain safe spacing between cooperative (responsive) and non-cooperative (non-responsive) UAS over moderately populated areas. UTM TCL4, with dates to be determined, will leverage TCL3 results and focus on UAS operations in higher density urban areas for tasks such as news gathering and package delivery. It will also test technologies that could be used to manage large-scale contingencies. NASA’s UTM technologies research and development is taking place in collaboration with the FAA. Results of research in the form of airspace integration requirements are expected to be transferred from NASA to the FAA in 2019 for the FAA’s further testing.